Until 2006 we lived in California; 54 years for Ellen and and 49 years for Pete. California is a beautiful state, especially where we lived in the Central Coast. We lived 30 minutes from the Pacific Ocean and just 3 hours from the High Sierras with great hiking, Yosemite National Park and snow skiing. We enjoyed most everything about California except the government. California is bankrupt, they just won't admit it. The taxes are out of sight and continue to rise. In 2006 we paid $1,400 for the MotherShip's DMV tags. That was okay as it diminished every year. It was down to $879 in 2009. Then the Governator raised it back to $1,300. That is when we chose to move to South Dakota. Check out the cost difference between these two states. As you can see, the savings were huge! We love South Dakota (in the summer). 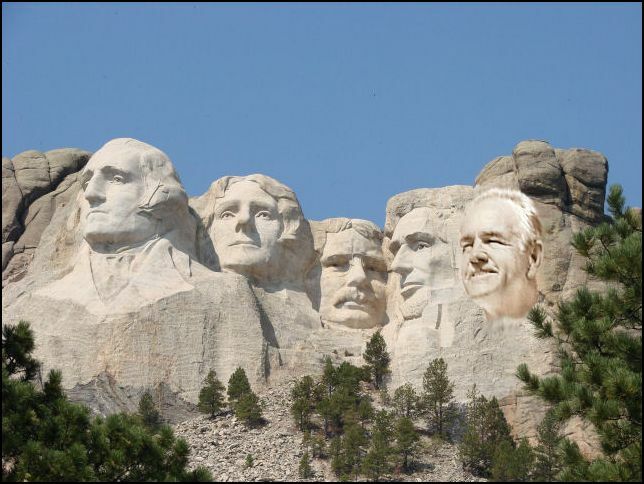 It is a beautiful state with rivers, lakes, Mount Rushmore, Sturgis and more. 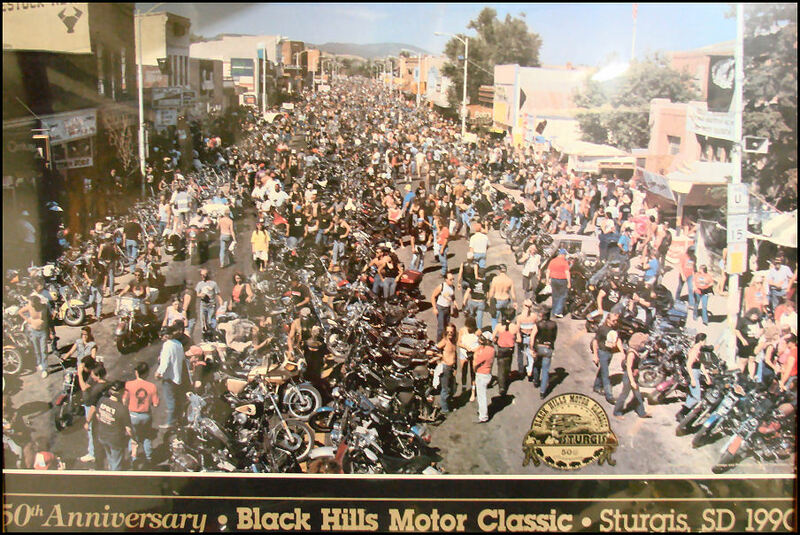 Below is the 1990, 50th anniversary of the Sturgis Black Hills Motor Classic. Now we are moving to Texas. But why! We have not have full coverage health insurance for decades and now we need it. So we began to sign up for ObamaCare in South Dakota. PPO insurance plans always have a lower out-of-pocket (OOP) expense in your domicile state and a higher OOP in other states. However, due to federal regulations we could only a get plan in South Dakota that covers Ellen in state. That means zero coverage in other states. As we travel in all 50 states, that simply will not work for us. So we once again started our search for another domicile state. 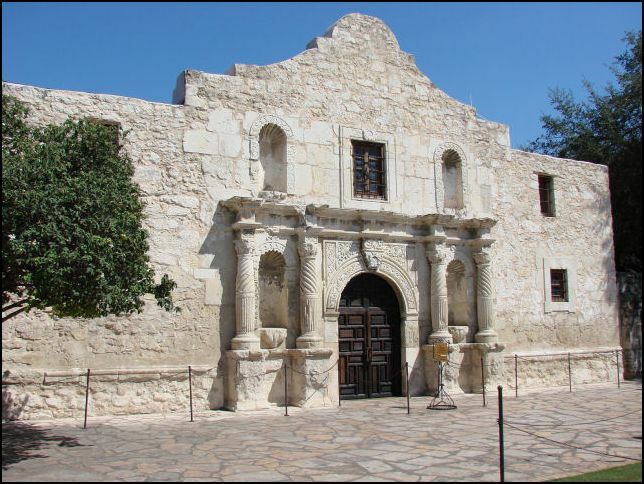 We won't bore you with the details, but Texas is our best choice, the home of the Alamo. So how does Texas stack up? Today we are in Las Cruces, New Mexico. 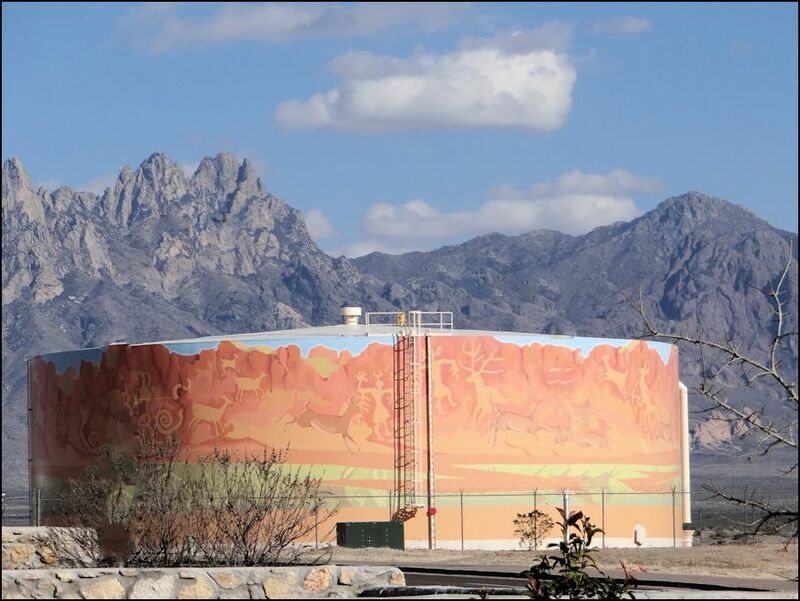 Water Tank art by Anthony Pennock. Monday we received our Texas license plates by UPS. 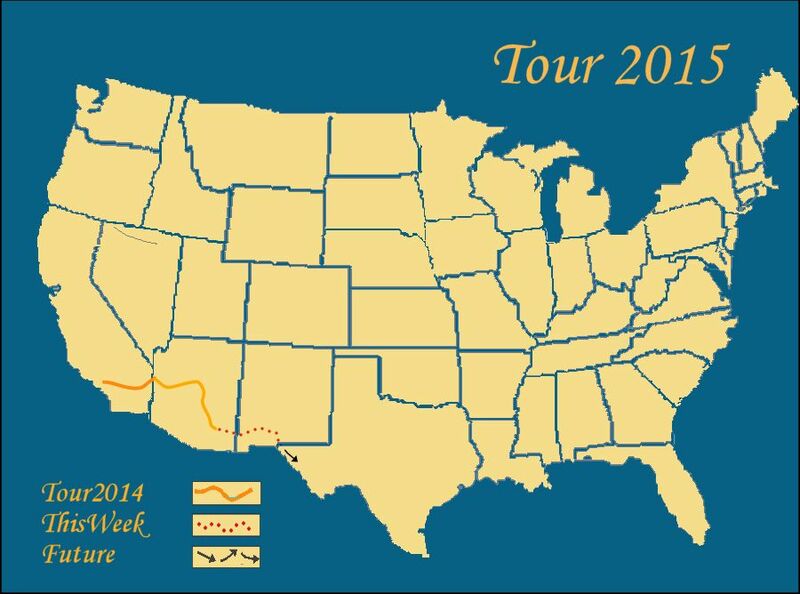 Tuesday we will head to El Paso, Texas, to get our driver's licenses. Our new home is Livingston, Texas in Polk County. Polk County is on the Eastern side of Texas, 800 miles from El Paso. Some have told us that we can get our driver's licenses in El Paso. Others have said we must drive to Polk County. We of course prefer the first answer. For our praying friends, please ask the Lord to allow us to be licensed in El Paso. Yeehaw, Pete, Ellen and Mandy, Texas's newest residents.